The European Association for Storage of Energy, EASE, has launched a campaign to promote the main energy storage projects and its benefits for the European energy system. The campaign, Storage 4 EU, is a collection of innovative and inspiring storage projects supporting the energy transition while ensure a stable, secure, and affordable operation of our electricity grids. The campaign highlights the Photon Farmer’s Bromine Battery Technology story as a successful European energy storage project demonstrating the importance of bromine-based flow batteries. 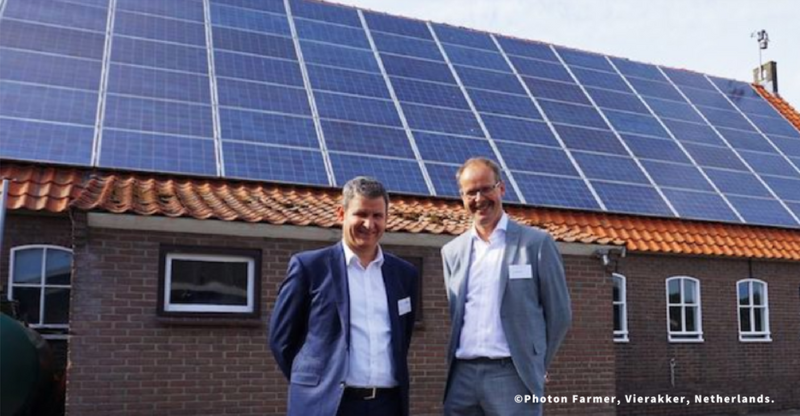 The Photon Farmer – a dairy farm located in Vierakker in the eastern Netherlands – is now using a revolutionary energy storage system: the Redflow ZBM2, a bromine-based flow battery. The 57.5-hectare family-owned sustainable and highly automated farm houses 100 cows, and has a large shed roof with a 50kW rooftop solar system. Bromine-based storage technologies are highly efficient and cost-effective. The reduction of the impact of energy consumption through improved efficiency, and successful deployment of renewable sources, present both financial growth and environmental benefits. Visit the Storage 4 EU website and discover the best Energy Storage projects in Europe! Take part in the discussions with the hashtag #Storage4EU !